Herbs with a high content of phytoprogesteron and pelvic anti-inflammatory effects are useful in ovarian cysts treatment. You can treat small and medium-sized ovarian cysts with natural products having hormone regulator properties (estrogen-progesterone ratio), menstrual regulator and antihemoragic effects. 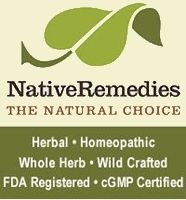 Herbal remedies can have a direct impact on benign tumors and prevention of malignancy. Raspberry (Rubus idaeus) buds tea is recommended in ovarian cysts treatment because it contributes to ovarian cysts and breast nodules resorption. Raspberry buds are considered a natural progesterone and especially a great regulator of ovarian activity. Use them to maintain control of all menopause related issues: hot flashes, genital itching, emotional disturbances or hirsutism (Latin hirsutus = hairy). They are also an antidote and supplement to the remedies and medications with strong estrogen effect, like dill seeds. 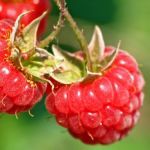 Women who want to stop the contraceptive treatment may also resort to raspberry buds treatment to avert disturbances that may occur. Raspberry buds are used with good therapeutic results in ovarian cysts, uterine fibroids, breast nodules (whatever their nature), as well as premenstrual syndrome. Raspberry shoots extract is a gemmotherapy product which regulates ovarian function, stimulating it when it is deficient, both on estrogen and progesterone. Alone or in combination with other extracts is extremely useful in the dysmenorrhea treatment (menstrual cycle disorders), amenorrhea (lack of menstruation), and many female genital problems (polycystic ovarian syndrome PCOS, uterine fibroids, menopause). Lady's mantle's (Alchemilla vulgaris) flowers and leaves have extraordinary effects in both ovarian cysts treatment and uterine fibroids treatment and their prevention. This herb is also considered a natural progesterone and is helpful in postnatal injuries, after birth pelvic organ relaxation or predisposition to abortion and strengthening uterine fibers. Lady's mantle is also recommended during pregnancy to prevent abortion. 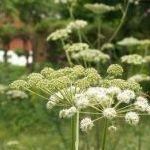 In combination with other antitumor plants (Herb Robert, Burdock, Mistletoe), Hogweed (Heracleum sphondylium) infusion is beneficial in ovarian cysts and cell regeneration. You can obtain good results using Hogweed combined infusion. Soak 2 teaspoons of plant and seeds in 100 ml cold water and leave overnight, then filter. Pour another 150 ml boiling water over the herbs and let it steep for 15 minutes. Filter then mix the two preparations. Drink 1 cup of this infusion, 15 minutes before each main meal. A cure for infertility in both women and men for more than 100 years, the plant has also proven effective in ovarian cysts treatment. Herb Robert contains germanium, a trace element with a very strong effect on stimulating cellular oxygenation. It seems the increased cellular oxygenation is the key to healing both malignant and benign tumors. Usually, Herb Robert treatment last for at least 3 months. The remedy is prepared in various ways, according to specific diseases. In general, the infusion is prepared from 1 teaspoon of dried plant to a cup of boiling water. Let it steep for 10 minutes, then strain and drink unsweetened and with no lemon. Alfalfa contains vitamin K. This helps dissolve blood clots, prevents bleeding and, therefore, Alfalfa is recommended in ovarian cysts treatment. In addition, this herb contains zinc, selenium and copper, minerals that are missing in the body of women with ovarian cysts or uterine fibroma. Herbal infusion, powder or macerate with Raspberry buds, Lady's mantle, Hogweed, Herb Robert or Alfalfa must be taken under specialist supervision. He will determine the mode of administration and duration of treatment, depending on the remedy used. Have you tried a natural remedy for infertility problems? Which one has worked for you? Click here to share it with other couples! What are the best herbs when facing infertility problems? Give your baby a good start in life and regain your silhouette at the same time. Advantages of breastfeeding and what herbs should you use for extended breastfeeding. Discover simple herbal remedies that can help in menstrual cycle problems.